3 Reasons a Swan Valley Brewery Tour is perfect for a bloke’s day! Looking for the bloke’s alternative to a wine tour? Lucky for you, at Top Gun Tours, we have a Swan Valley brewery tour option too! Let us take you on a journey through five boutique beer breweries, showcasing the best craft beers our state has to offer. Whether you are a beer connoisseur serious about your tastings, a corporate professional looking to impress, a networking group wanting to do something different, or you just want to get the guys out for a bit of fun, our Swan Valley brewery tours are the perfect way to taste all that the Swan Valley has to offer. Our unique boutique beer tours are in high demand. They enable you to sample the Swan Valley’s finest beers, ales and lagers, complemented by quality foods and fresh produce from the Valley – What’s not to love? Still not convinced? In our latest blog, we share three reasons why a brewery tour in the Swan Valley is perfect for a bloke’s day! There’s no drink quite as blokey as a good old-fashioned beer, so you can feel free to be as blokey as you like on a Swan Valley brewery tour with your mates. From Feral, to Ironbark, Elmar’s, Duckstein and Mash, there are countless beers to choose from. From Aussie themed, to German and traditional, there’s a brewery in the Swan Valley for you. Some of the breweries even allow you to watch the brewing action too. It’s not a bloke’s day without food and our Swan Valley brewery tour is no exception! 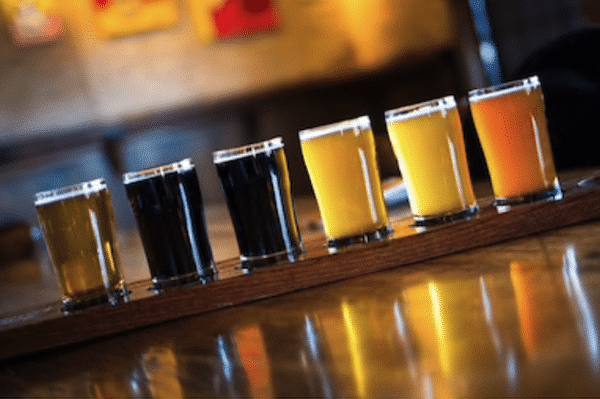 Beer tasting can be complemented by tasty local produce such as a selection of German sausages, beer-battered fries, and delicious chef-prepared treats along the way. 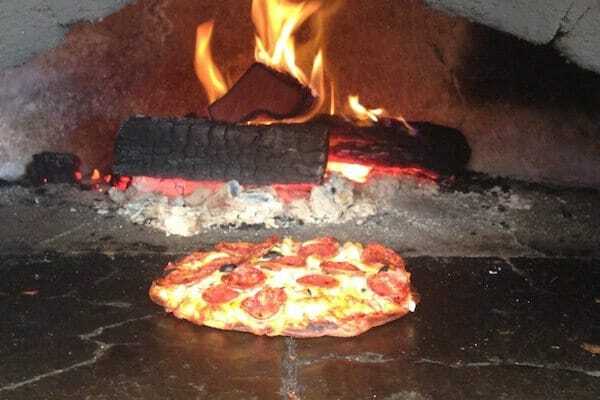 Before enjoying an amazing lunch at the Ironbark Brewery (included in your tour) and chilling in the shady surrounds, enjoy a variety of wood-fired pizzas, damper and dips. How many times have you and your mates argued about who’s going to be the designated driver? I bet you haven’t been able to keep count! What if we told you, you didn’t have to worry about it? Well, with our Swan Valley brewery tours, you don’t. All you have to do is call an Uber or arrange transport from your home to the pick-up location in Perth or Guildford and then just sit back and relax in the comfort of our luxury bus to the Swan Valley (just 25 minutes from Perth). The only thing you’ll have to worry about, is which beers to choose! These are just some of the many reasons why a Swan Valley brewery tour is perfect for a bloke’s day. Whether it be for a birthday, a buck’s day, a work function, or just a fun day out, we have a tour option for you. All you need to do now is pick the day – Our brewery tours run on Wednesdays, Fridays and Sundays. Book your blokey day with a brewery tour in Perth’s Swan Valley today! Posted in Beer & Breweries Tours and tagged Beer Samples, Brewery Tour, Swan Valley on 25th May 2018.